You live within arm’s reach of 1,000 people. Yet maybe you have wondered, how can I reach them? 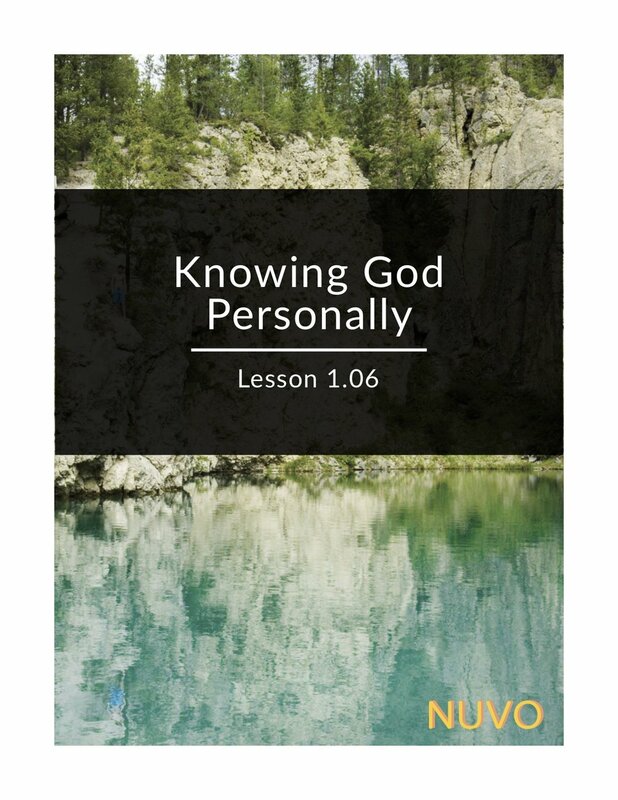 Nuvo is a practical approach to sharing the gospel. It is a journey to being used by God to bring about transformation in lives and communities. But you don't have to do it alone. It’s a group-driven, discovery-based discipleship program that is easy to use, media-centric and mobile-based. If that sounds daunting, fear not. NUVO is easy to use! Through the Nuvo strategy, you will learn how to start spiritual conversations with your friends, share your story, and ask an "amazing question," one that opens the door to deeper spiritual exploration. Within just a few weeks you could begin leading a group to help people discover God. You’re beginning a step-by-step process that God can use to turn your world upside down! NUVO is an 11-session journey through a discovery-based learning process. Each session consists of three distinct components you will go through each week: Prepare, Engage, and Practice. Do you believe that God is at work today just like he was in the book of Acts? He is! God can use you to reach the people around you and be part of a movement of multiplying churches. Are you ready to trust Him for amazing things? What does it mean to be filled with the Holy Spirit? Is it possible to live a holy life? These questions—and more—are addressed in this program, helping you see that being filled with the Holy Spirit is what draws people to God; it is important for the life of the church. The main focus of this program is two-fold: It teaches you about the life-changing question Jesus asked, and it helps you discover how you can use Jesus’ question in reaching out to others so you can appropriately pray for them, care about their needs, and in the process, also share the gospel with them. In the previous program, you learned about the prayer-care-share strategy. In this program, you’ll learn how you can use your story to share with others about the hope you found in Jesus. Earlier in this series, you downloaded the GodTools app. You also learned how you can use your story to share with others about the hope you have in Jesus. In this session, you’ll learn how to use one of the programs on the GodTools app to take a deeper dive into sharing about knowing God personally. It’s tempting to jump into caring about your friends’ needs and sharing Christ with them. But without prayer, your caring and sharing is futile. This program delves deeper into having a solid prayer strategy, including listening well to how God leads. Just like it helps to have someone introduce you to a new friend or a prospective employer to help get your foot in the door, a Person of Peace can play a key role in opening doors to a community. This program looks into biblical examples of Persons of Peace and challenges you to identify such persons within your personal network. The Bible is filled with stories of hope, stories that illustrate the gospel. This program helps you understand the importance of using those stories well, and challenges you to start a Bible study group through which you’ll use a simple method of studying the Word. You’ve learned about the prayer-care-share approach, including the importance of not neglecting prayer. You’ve learned how a Person of Peace can open doors to sharing the gospel. And you’ve learned how to use both your own story and stories from the Bible to share the life-changing truths about the hope you have in Jesus. Now it’s time to start your own Discipleship Group. Having gone through all the steps toward starting your own Discipleship Group, you’ll now pause and look at the ways the Apostle Paul used these strategies to turn the world upside down, so you can join the movement and do the same!